Great location and lovely, comfortable beach house. Dan was very polite and kind, we accidentally left a very valuable piece of equipment under one of the beds and Dan phoned us immediately so we were able to go back and retrieve it. Very thankful Dan! Dan & Nora and their family were the most amazing hosts we have ever encountered at holiday apartments. The place was fantastic all round, especially great heated pool and tennis court. The upstairs kitchen/dining/living area is light and airy. Great open plan layout and comfortable with breezes coming through. Amazing beach access from the property! You could relax and enjoy the facilities the tennis court was great as was the pool. Peaceful and relaxing. The beach house was great and catered for our needs. Lock in a great price for The Retreat Beach Houses – rated 9.4 by recent guests! The Retreat Beach Houses This rating is a reflection of how the property compares to the industry standard when it comes to price, facilities and services available. It's based on a self-evaluation by the property. Use this rating to help choose your stay! 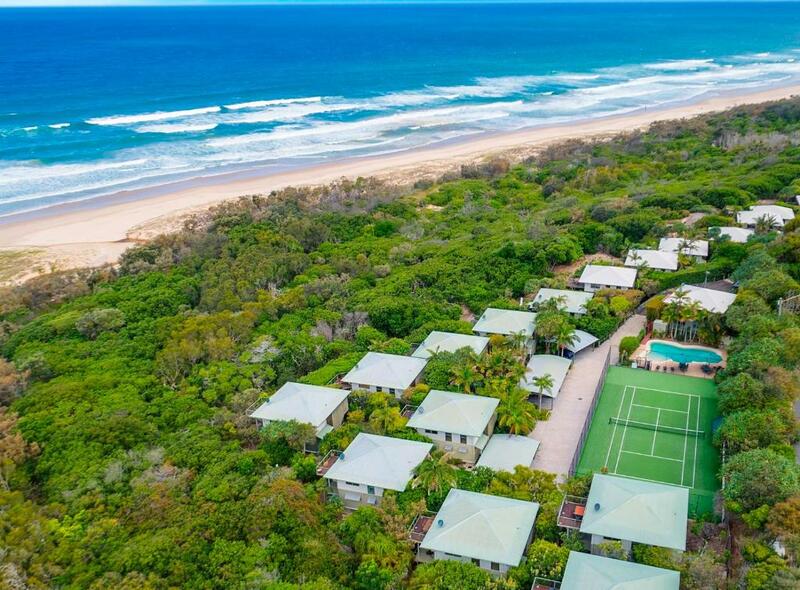 Just 500 feet from Peregian Beach, The Retreat is a 5-acre property with a tennis court, a lagoon-style swimming pool and barbecue facilities. It offers self-contained accommodations with free Wi-Fi and a private balcony overlooking the ocean or native gardens. 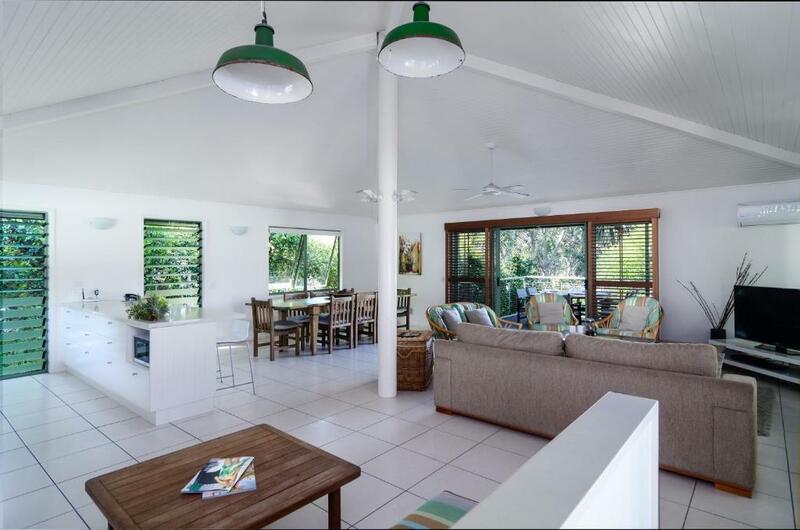 The Retreat Beach Houses are 5 minutes’ drive from Peregian Beach Village, with many shopping and dining options. Noosa Heads is a 10-minute drive, and Steve Irwin’s Australia Zoo is a 45-minute drive away. All houses have laundry facilities and a full kitchen with a dishwasher and an oven. Each house has a spacious living room with flat-screen satellite TV and a DVD player. 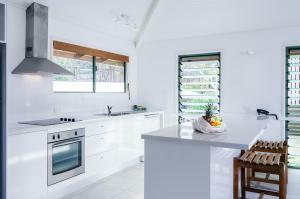 This property also has one of the top-rated locations in Peregian Beach! Guests are happier about it compared to other properties in the area. 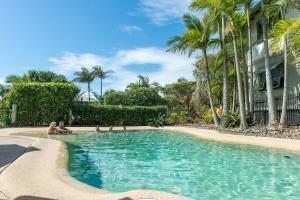 This property is also rated for the best value in Peregian Beach! Guests are getting more for their money when compared to other properties in this city. When would you like to stay at The Retreat Beach Houses? 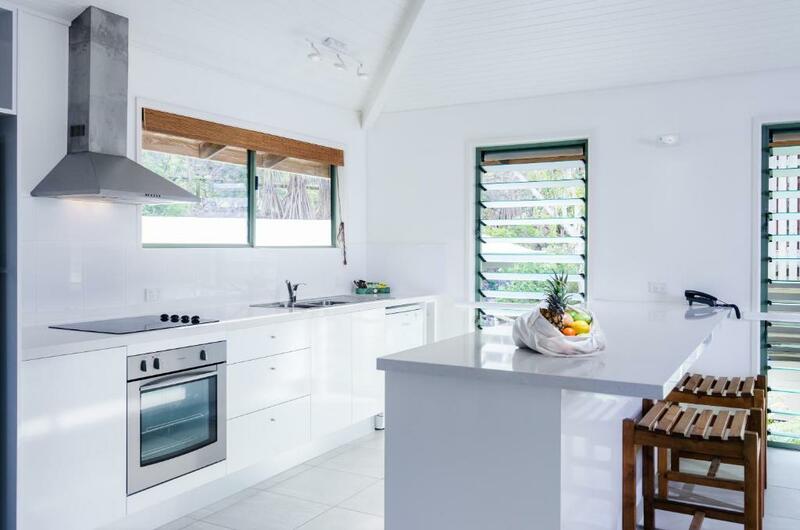 This 2storey house features a private balcony with outdoor seating and lovely views of the ocean or the surrounding native gardens. It also has laundry facilities, a fully equipped kitchen and a living room with flat-screen satellite TV and a DVD player. This 2-story house features a private terrace with outdoor seating and views of the ocean in the complex nestled in the surrounding sand dunes. It also has laundry facilities, a fully equipped kitchen and a living room with flat-screen satellite TV and a DVD player. Guests receive complimentary wine, a seasonal fruit hamper and fresh towels daily. With large open plan living areas and north facing decks on both levels the architecturally designed houses cater for up 7 people. 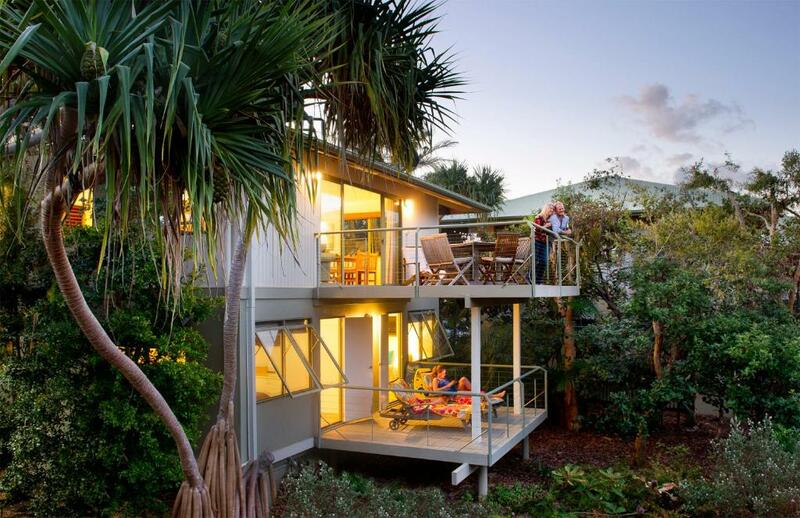 Our free standing, spacious 2 storey beach houses have been designed to capture the essence of a Queensland beach holiday the way it used to be! They are spread out on 5 acres of pristine beachfront land with no roads to cross. Nestled in the dunes and surrounded by nature, with ocean and bush views, The Retreat Beach Houses, have won awards for both architecture and landscape design. The beach houses were designed using very effective passive cooling principles. Louvre and hopper windows assisted by ceiling fans promote cross ventilation, so you can enjoy the natural cooling breezes off the Coral Sea. 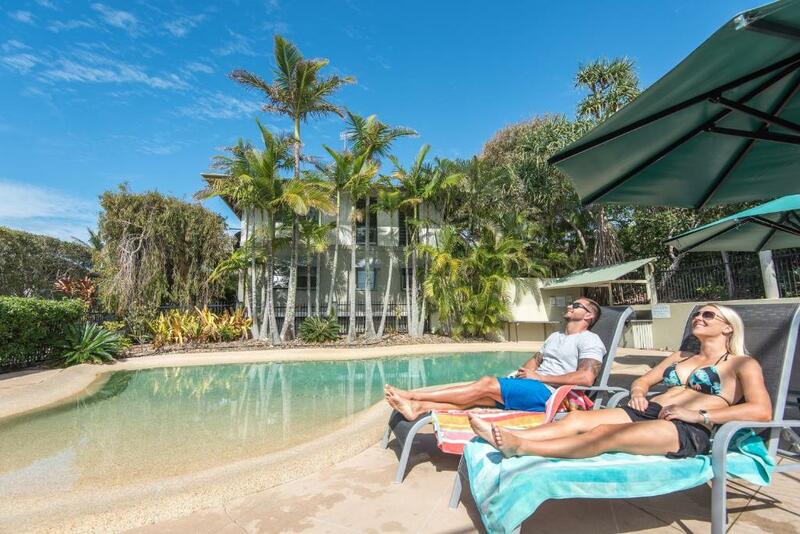 Relax to sounds of the bush and the ocean with private, direct access to beautiful Peregian Beach the gateway to Noosa. If you are planning to visit the lovely Peregian beach, here are a few popular holiday hangouts and activities for all kinds of travellers. 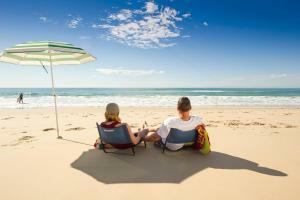 Beaches – The unspoiled Pacific coastline is a treat especially at the Peregian region. It is very popular among surfers, fisherman and the locals. The beaches are quiet and, away from the hustle and bustle of the city which makes relaxation the key factor of attraction. The Noosa National Park is located very close by and you can take a walk through the walking trails and spot some great wildlife. Peregian beach is also known as the “Seaside village of Noosa”. Markets – Don’t miss out on the Peregian Beach Markets and the open air music of Peregian Originals. The market is very popular for its local arts and crafts, fresh produce and quaint shops that offer some lovely trinkets to take back home as gifts for family and friends. Shopping – Never miss out on shopping at Hastings Street, the style hub of Noosa. This busy strip is home to some of the most popular fashion labels and brands, one of a kind jewelry, household wares, art and beauty products. Restaurants – The restaurants and cafes are simply one of a kind. Noosa's only beachfront village square offering a diverse range of products and services, shopping and dining experiences including the talk of Noosa, the new Pitchfork Restaurant featuring fabulous modern Australian fare. From seriously good homemade gelato at Caribbean Dreams, to designer fabrics, home wares and clothing at renowned Otilly and Lewis, Peregian beach Village is defined by a lack of the mainstream and humdrum. Combine all that with the bi monthly morning markets offering fabulous local produce, fashion and art, followed by the "Peregian Originals" in the afternoon, where high quality live music is celebrated with enthusiasm and verve under (hopefully!) blue skies on the grassed area between the surf club and the beach. You can relax or picnic under the Pandanus Trees in the unique inner courtyard of the village square, graced by a performance stage for special events but mostly used by children for impromptu plays! 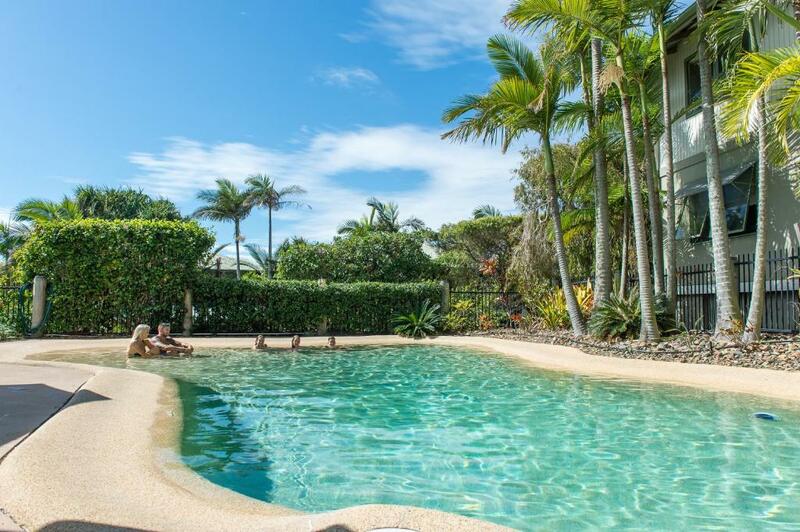 Considering Peregian Beach is surrounded by National Park, adjacent to picturesque Lake Weyba and features a long expanse of uncrowded unspoilt beach, you can understand why it is a village and a community that so many enjoy being a part of. House Rules The Retreat Beach Houses takes special requests – add in the next step! One child or adult is charged AUD 30 per night in an extra bed. The Retreat Beach Houses accepts these cards and reserves the right to temporarily hold an amount prior to arrival. Please note that The Retreat Beach Houses does not accept payments with American Express or Diners Club credit cards. Please note that the houses are individually decorated and the photos are only meant to be used as a guide. Downstairs layout felt quite small and did not do the property justice. Would have loved to see a king sized bed in the master bedroom (but it likely wouldn’t fit). Only thing I didn't like was our stay here wasn't long enough. Would probably need aircon upstairs during the summer. A bit of traffic noise from main raid on weekend. Quieter during the week. Desperately needs air conditioning or installation of more than one ceiling fan in living area. This area was quite uncomfortable in the heat. The living area is upstairs. The bed was comfortable with plenty of pillows. 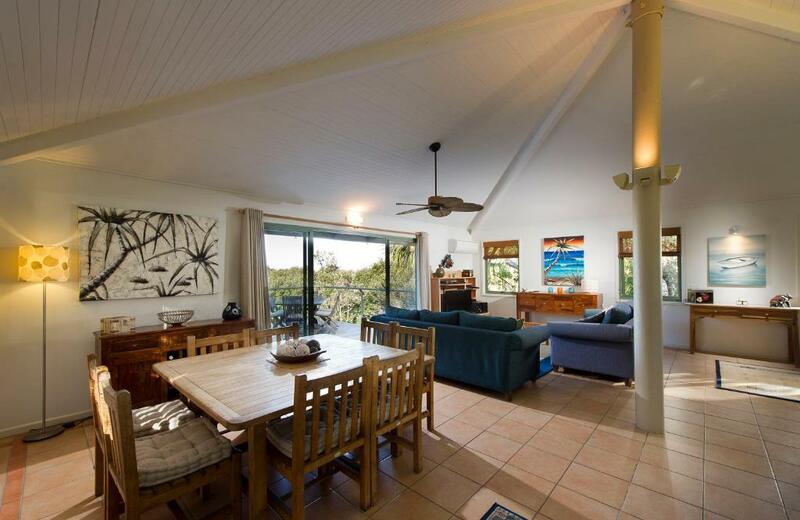 The living area and kitchen are a good size and the deck leads on to the beautiful beach views. Nora's family is really kind and helpful. They are so generous to provide rare flexible check in and out time for the guest. We were thrilled to hear that we could check in quite early in the morning and stay late which gives us plenty of time to rest. will come back for sure in the future. Great beach house - perfect for family beach holiday.